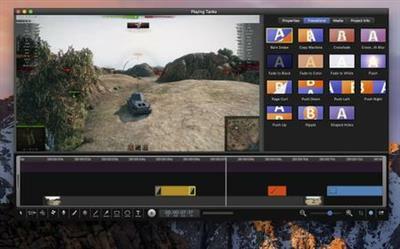 Easy screen recording & editing on your Mac: that's the core idea. Built from day one with this in mind, it's easy to capture what you want; add text, annotations, pointers and and then share your result. Features you've come to expect in the iShowU "series" have been supercharged: screen & camera capture, mouse highlighting and keyboard animations take on a new lease of life now that you can edit when and how they appear.